It’s not every day that you have the opportunity to compete for one of the largest corporate headquarters in the world. But, that’s what the partners across Pierce County did this week. You might have heard that Amazon issued an RFP for their second headquarters, called HQ2, and hundreds of North American cities are reportedly delivering their qualifications. Will HQ2 come to Pierce County? It’s hard to say and certainly a longshot, to be honest. But, the amazing work of 50 people from cities, industries and sectors in our region gives us a powerful blueprint to attract and grow businesses. Plus, it allows us to deliver on our goal to create an entrepreneurial climate with business-friendly practices and a supportive environment. It was a great exercise to realize and proclaim the many strengths we have in our community. 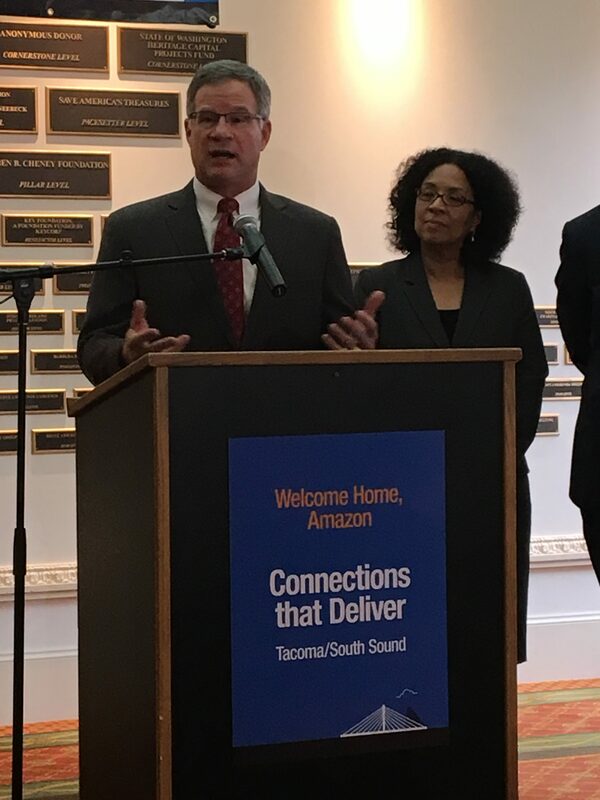 While we are working on creating new Class A office space in Tacoma, we already have a robust data center in Puyallup; strong manufacturing and distribution expertise in Sumner, Lakewood and DuPont; vibrant schools and terrific colleges and universities; a rich, diverse population and a ready supply of skilled veterans at JBLM. In other words, we have what we need to create family wage jobs right here in our home. I want to be very clear: this is not a race to the bottom. Many great businesses have chosen to locate in Pierce County and I’m confident many more will join them. But, we are not mortgaging our future for anyone. I’m proud of the proposal we provided to Amazon but I’m especially proud of the collaboration and partnership that made it possible. Great partnerships can also have a huge impact on the lives of people facing significant challenges and we’re now seeing the results of months of work come to fruition. 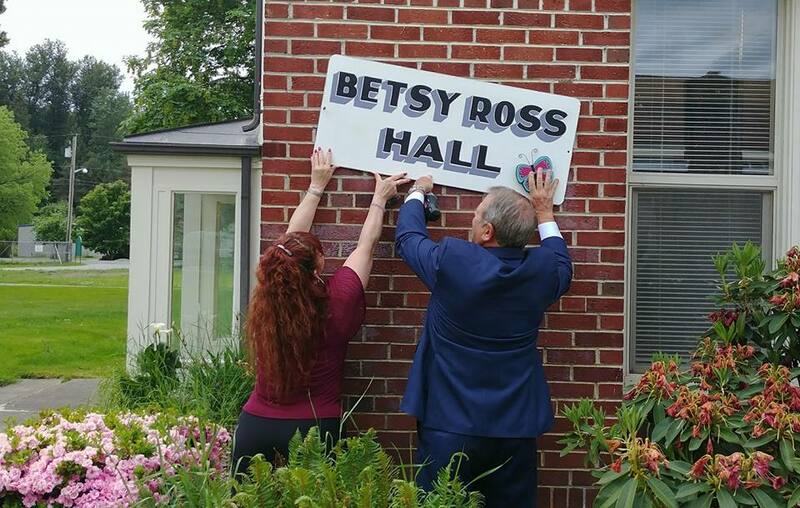 In this year’s supplemental budget we requested funding for the Betsy Ross Hall, a facility in Orting to house women veterans experiencing homelessness. I’m pleased to tell you that the first two residents have just moved in! These are veterans who answered their country’s call and now we can provide them with the stability of a roof over their heads as they receive the support they need to rebuild their lives. My thanks to Don Anderson on the Executive team and our terrific partners at the WestCare Foundation for their leadership, commitment and drive to make this happen! We have also seen the powerful results of another important partnership with the recent launch of the Mobile Community Intervention Response Team (MCIRT). The goal of this team is to get more effective care and treatment to our citizens suffering with behavioral health challenges and reduce their interaction with first responders, hospital emergency departments and the jail. Our partners at Comprehensive Life Resources reach out to our neighbors in crisis and meet them where they’re at – literally. 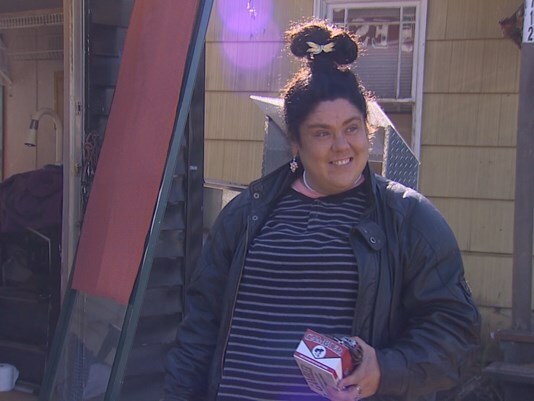 The outreach team, which is co-located with Central Pierce Fire, travels to clients and features a nurse, peer counselors and other behavioral health professionals. 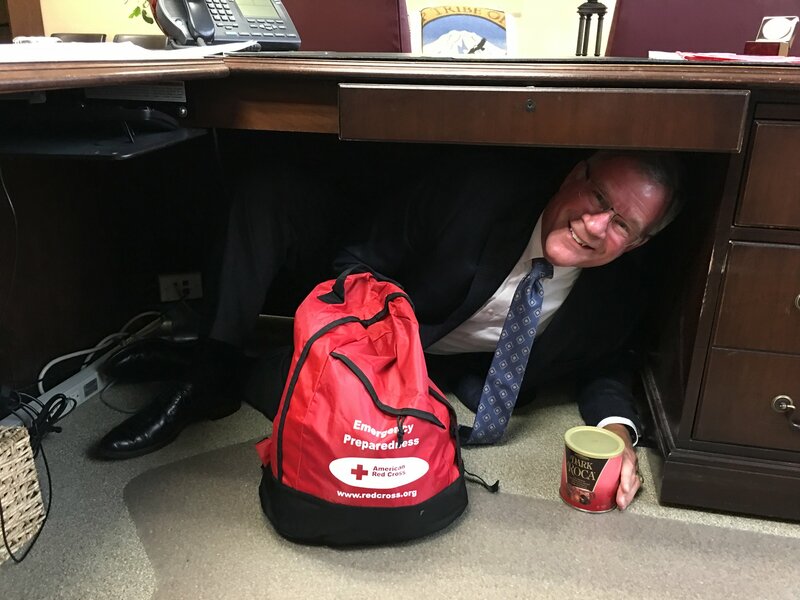 To lighten the mood a bit, I hope you will enjoy a collection of some of my favorite selfies from this week’s ShakeOut, including one from yours truly! You can view all of them at https://www.flickr.com/photos/piercecounty/sets/72157689599560986/. I can survive as long as I have my Almond Roca! While we had fun with a serious topic, I hope you are ready for emergencies at work and at home. Next week we have the opportunity to recognize some of your outstanding colleagues at the Employee Incentive and Recognition reception. 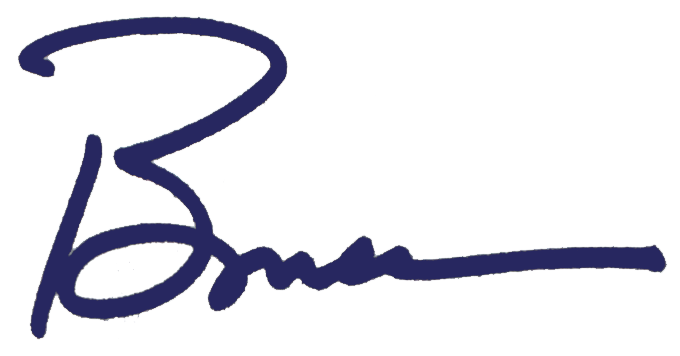 I hope you will join me on Thursday at the McGavick Center for our celebration. If you don’t have a ticket, you can buy one here.